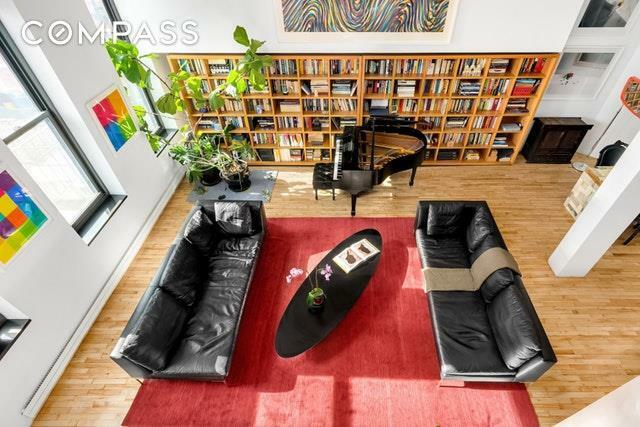 The opportunity of a lifetime has presented itself to combine two apartments at the historic Piano Factory to create one of the most unique and one-of-a-kind trophy duplex penthouse apartments in all of Manhattan. 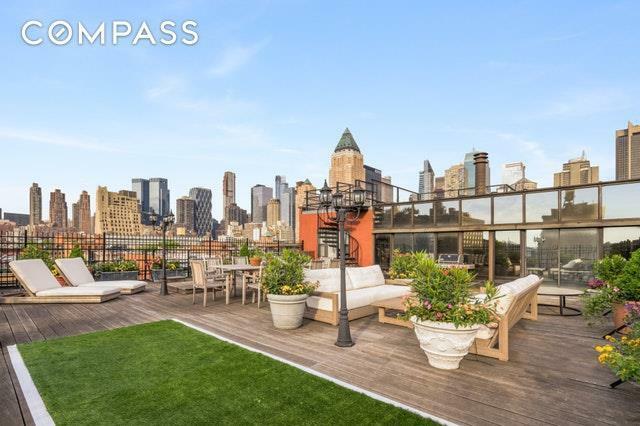 The combined duplex penthouse would approximate 3,300 square feet of interior space with a massive private terrace in excess of 3,300 square feet that currently has protected and unobstructed views of Midtown Manhattan due to its coveted location in the heart of the Clinton Special District. PH7AS, which is currently on the market, is already one of the most unique and private penthouses in all of Manhattan with 2 bedrooms and 2 full bathrooms and one of the largest private terraces in all of Manhattan; approximately 3,300 square feet in size with the most spectacular and breathtaking views of the Midtown skyline.Apt 6ES, located directly below PH7AS, has just come on the market. 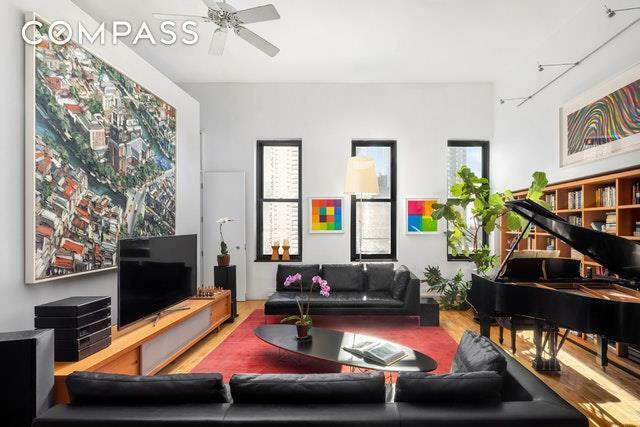 Apt 6ES is a spacious 2 bedroom, 2 full bath loft exquisitely designed and renovated by the two principals of Rietveld Architects, who brought it to its current Architectural Digest level. It currently features a dramatic and spacious living dining area measuring nearly 20 feet wide and nearly 36 feet in length with high ceilings that rise from 12 feet to nearly 14 feet at their highest point.Adjacent to the living/dining area of Apt 6ES is a spacious professional-level chef's kitchen that opens to the living/dining area and would impress the most discerning cook and entertainer. It features: a 48 Thermador range with a double oven, 4 burners, a charcoal grill and a griddle; a Thermador hood that vents to the outside; an oversized Sub-Zero frig; a Bosche dishwasher; a double sink and ample granite counter preparation space that extends into an eating bar that comfortably seats 4.There would be a myriad of possibilities for this duplexed unit, but at the very least, these two units would readily create a 4 bedroom/4 full bath duplex penthouse with substantial interior living and entertainment space, as well as over 3,300 square feet of private terrace for outdoor living and entertainment.Bring your architect and your imagination to make this the trophy penthouse of your dreams!THE BUILDING:Dating back to the late 1800s, The Piano Factory building is a loft-conversion on the site of the former Wessell, Nickel & Gross Company, a piano works and soundboard factory. Today, the building is a well-established, self-managed co-op with very low monthlies, allowing pets, pied--terres and subletting. At the entry, a Romanesque Revival archway leads you to the building's iconic European style landscaped courtyard, at once leafy yet beautifully industrial. Originally serving as the factory's storage yard, today the brick-lined outdoor spaces are punctuated by striking original steel catwalks and inviting leafy seating areas. The Piano Factory complex has frequently been used for movie and television filming because of its photogenic beauty.THE NEIGHBORHOOD:Located in the heart of vibrant Hell's Kitchen, this home is at the center of quintessential New York living, just 2 blocks from the Theater District and the heart of Midtown. The amazing Hudson Yards and Brookfield Manhattan West developments to the south, and the Time Warner shops and Whole Foods to the north provide premier shopping, dining and entertainment, while the High Line, the Hudson River Greenway and nearby Central Park provide glorious outdoor Park space. The eclectic restaurant scene of 9th Avenue is just around the corner and legendary Restaurant Row is a block away. 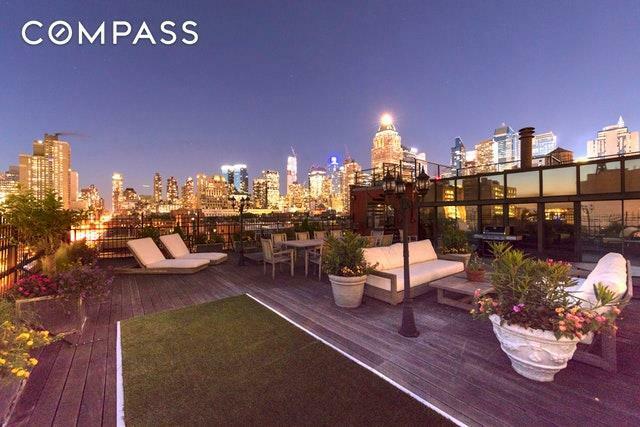 Transportation is unbeatable with Port Authority and Times Square providing immediate access to A/C/E, 1/2/3, N/Q/R, S and 7 trains.BE SURE TO WATCH THE JAW-DROPPING TIME-LAPSE VIDEO OF THE VIEW OF MIDTOWN FROM THE TERRACE FROM NOON TO DUSK! Listing courtesy of Glenn A Connolly of Compass.